As a Thankyou to all of my readers and followers I am joining with the Gratitude Giveaway Hop sponsered by I Am a Reader, Not a Writer and All-Consuming Books. The Hop runs from Nov17th through the 27th. 1 entry per person, please become a GFC follower of my blog, then leave me a comment at the end of the post with your follower name and email address to contact you if you are the winner.. So what are you going to win???? Since my blog is primarily a book review blog you are going to be winning BOOKS!! 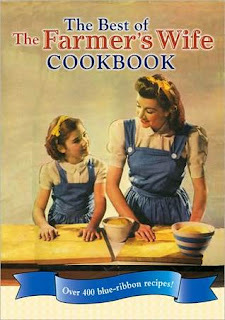 Beautiful Cookbook from The Farmer's Wife collection. I will be reviewing this book later in the week, but it promises to be a fantastic find!! 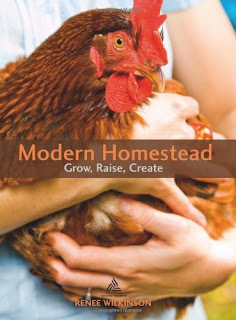 Modern Homestead by Renee Wilkinson again i will be reviewing this week, a book that can be useful for everyone, no matter how much land they have to live healthier and grow, raise and create! 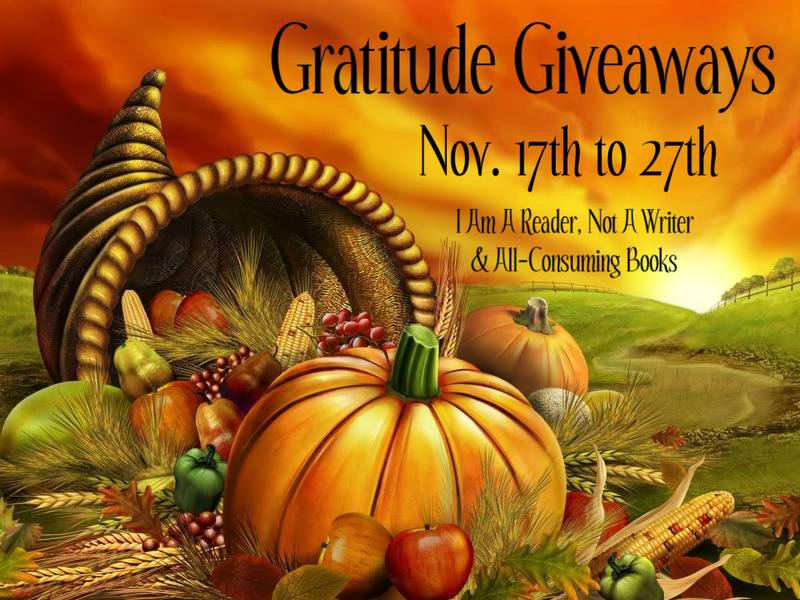 Click on all the links to join in more wonderful giveaways as we are truly greatful for our readers!!! HI, I would Love to win a new cookbook! Have a great weekend! This is a GREAT one, Mel!! I'm a new follower....Both books sound great.. I love to cook and well not sure about homesteading...but we have 3 acres. I follow with GFC as A. Tolar. Thanks for the chance. I love it!! It's so awesome! I would love those books. Thanks for participating in the giveaway. That Farmer's Cookbook looks great! I am an Alaskan Homeschool Mom and I review books too! Great Giveaway! My aunt is a farmer's wife...I'd love to win these for her! I would love to read those books. My mother's family were farmers. Thank you for the excellent giveaway. Have a happy and safe Thanksgiving. Cookbooks are always great prizes! Awesome giveaway!! I am a GFC follower and my name is CelticLady..
New follower, love your choices for your contest. I love new cookbooks and just in time for the holidays, perfect! What a useful giveaway! Thank you! What a nice giveaway! I love books like these! Thanks for the great giveaway and for participating in this blog hop! I love "old" recipe books! They have some of the best recipes albeit not the healthiest but you know they're going to taste great! I already follow via GFC (MamaHendo3). Oh boy - Thank you so much for participating in this Thanksgiving fun :) I would really love to win this prize! !